Pepperbox Interiors specialises in furniture and accessories and provides bespoke interior styling services. After a lifelong fascination with interior design, Pepperbox Interiors was established in 2006 Cuckfield, West Sussex by Sarah Brehaut. A small but thriving independent interiors business with a real passion for customer service. In 2012 the Pepperbox Barn Showroom was launched in nearby West Grinstead and following this in 2017, a second shop was opened focusing on Interior Design and Building Project Management. Over the last twelve years Pepperbox has become renowned for restoring and hand painting old pieces of furniture. When you step into Pepperbox now you'll see majestic old mahogany, oak or pine pieces sitting alongside industrial tables, chairs and bookcases. Bespoke iron bed frames lineup with beautiful upholstered button back chairs and hand painted vintage chest of drawers. All of this is lit by a stunning collection of table lamps. Combined with a carefully selected range of accessories, soft furnishings, fabrics, decorative antiques and mirrors you'll see Pepperbox uniting many eras together in one space. 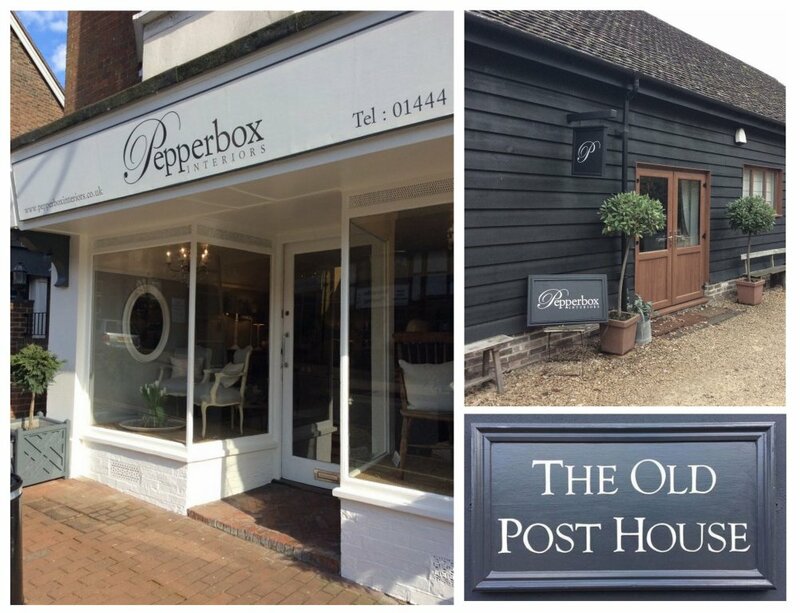 Please see our Contact page for more information about our location in Sussex and discover how Pepperbox can help you style your home. For many years I worked in the City of London as a Managing Agent at Lloyds of London. I used to wile away the endless hours of commuting by planning my dream home and business. When our children, Georgina and James, were born I was very excited to give this life up! Whilst they were growing up I dabbled in buying and selling via local antique markets still longing, one day, to open a small business. When the children were settled at school I decided (with huge support and encouragement from my husband, John) that the time was right to set up Pepperbox Interiors. I suppose my love for interior design stems from my dear Mother. As a youngster we spent many hours together going to antique fairs sourcing furniture and working together on colour schemes for our family home. She had a wonderful eye but she would not be approving of my painted furniture for that I am sure! Our home is now filled with a mix of antique mahogany and oak from my childhood and painted Pepperbox furniture. Mixing old with new works so well and it is most definitely the way forward. Our home is a Grade II Listed Farmhouse which John, the children and I have spent the last (at times pretty stressful) sixteen years restoring. 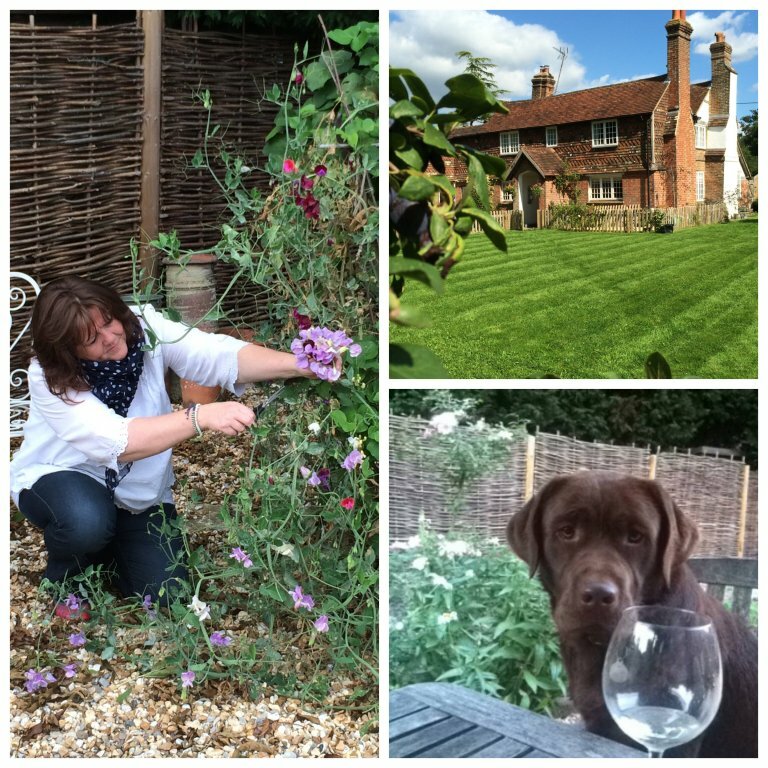 We share our home and lovely garden with Buddy (our beloved but very naughty Chocolate Labrador), Pudding our adopted cat (she adopted us) and numerous ducks and chickens.